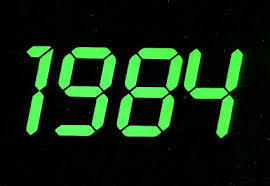 1984 for me was probably a music hiatus, I didn’t like it, My favourite album of the year was ‘Wired to the Moon by Chris Rea and I was probably annoying people by listening still to Al Stewart. When it comes to Movies Ghostbusters remains very firmly in my top 10 and will probably always be there! Chris Rea is awesome. I have always wanted to see him in concert. I still have his The Road to Hell album. The only thing I liked about Van Halen was Eddie’s guitaring but like you, I never could understand the whole hard rock/metal thing about them. If they were metal, then it was a soft metal.